(July 24, 2018) GM Colin McNab has unfortunately had to withdraw from the Open team for personal reasons. His replacement will be IM Roddy McKay, in line with the selection committee's decisions and availability of the reserves chosen back in April. FIDE also recently announced several extra countries who will benefit from their Olympiad travel subsidy fund, and Scotland were among them. The squad, including FIDE rep, should benefit to the tune of 4000 euros, which will help to offset costs. IM Andrew Muir points out that when Roddy McKay takes his place in the squad for Batumi he will become both the oldest AND youngest Olympiad player for Scotland. Would this be a world record for duration of Olympiad participation? Other candidates: Kortschnoi (1960-2008), Torre (1970-2014), Portisch (1956-2000). 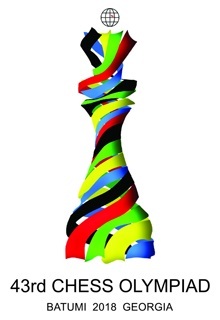 (26/4/2018) The 43rd Chess Olympiad is due to take place in Batumi, Georgia from the 23rd September until the 6th October 2018. The Scotland teams have been selected for this year’s Olympiad to be held in Batumi, Georgia. The names are listed here in current April FIDE rating order. Final board orders will be decided closer to the event. I would like to express my thanks to the selectors for their time and effort, and also congratulate all those chosen to represent Scotland in Batumi.